Oh God Where Are You? Readers are offered the spiritual comfort that God loves us always, just as we are. Written in consultation wit child therapists, God's comfort is presented for children who have been traumatized. Available from Amazon, and other online bookstores. This book tells the story a Garifuna teacher's family as they were sent to rural villages in Belize in the early 1900s 1940s. These autobiographies honour the untold sacrifices of Garifuna teachers and their families as they diligently served to lay the foundation of Belize’s education system.Available from Amazon, and other online bookstores. 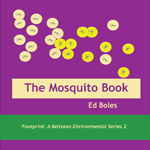 The Mosquito Book focuses on mosquito disease vectors found in Belize to encourage the awareness that communities must play a vital role in controlling mosquito breeding in their neighborhood --- drawings by the author. 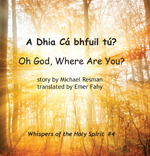 Available from Amazon, and other online bookstores. Energy Choices focuses on steps that we can take as individuals to reduce fossil fuel emissions in our daily lives. We are never more that a few years away from a major energy decision, buying a car or lawnmowere, replacing our roof, repairing our water heater or furnace. Available from Amazon, and other online bookstores.